Looking for a Brentwood luxury homes search on your own is not an impossible task, but one that could certainly be more enjoyable and successful with the help of an experienced realtor. Richard Chernock knows the neighborhood, the properties and that is valuable. You not only save time, but also money by letting a professional match you with those Brentwood luxury homes that fit your criteria and preferences. Richard Chernock is that professional. He is a top realtor in Brentwood, and can make your home search into a process you can actually enjoy. Whether you are looking for an estate home or a condo, you can rely on Richard Chernock to listen to everything that is important to you and guide you to make a sound and successful decision. Brentwood luxury homes open up a million possibilities, and choosing between them can be overwhelming without that kind of support. 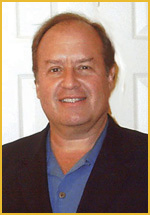 call on Richard to help guide you on your Brentwood Luxury Homes Search.